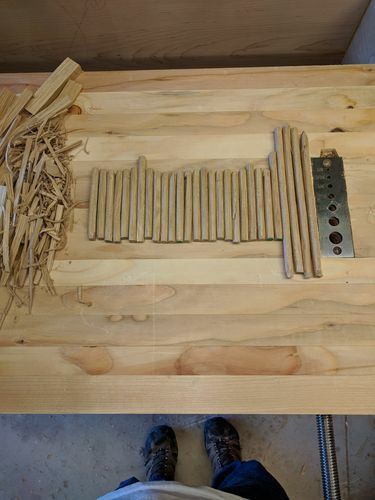 With the use of my Lie-Nelson dowel plate, I hammered out 24 drawbore pins of 3 1/2” long at 3/8” round with 4 7” long ones for pinning dovetail corners. Tried the riving method as you can see with the left over waste. 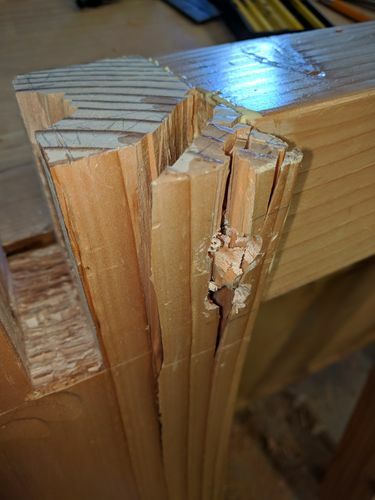 Installed 2 spacers in the mortise I made a error on. With tenon installed, now a nice tight fit. And this is what happens when you try different measurements when it comes to drawbore offset. 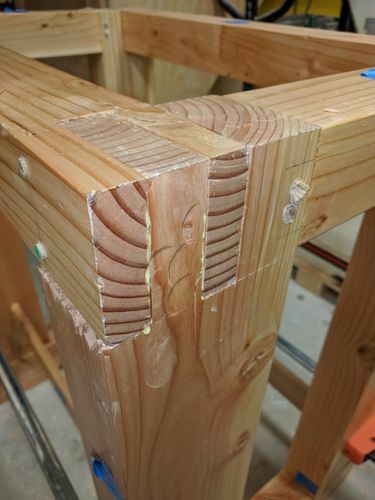 I tried 1/8” and the wood told me NONO. Good thing this sits under the table unseen! 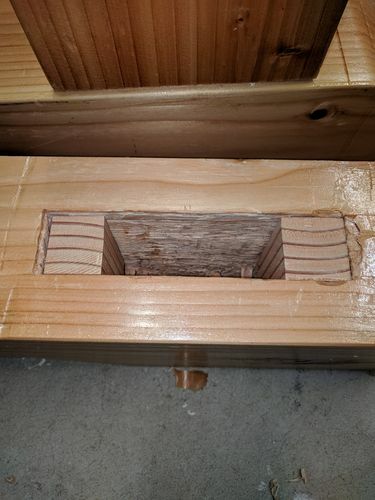 Every joint has 2×3/8” pegs installed for a total of 24 pegs. 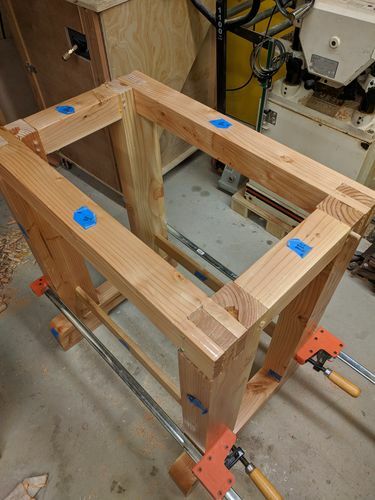 I did not peg the 2 smaller stretchers between legs, just regular mortise and tenon. I only had a metal hammer for a long time, as you can see the results of forgetting to use a scrap piece to knock things in place. Going to buy a 16oz soft faced mallet asap. The final result of the bottom base. Though still have to knock down the pegs. I’m happy I went with drawboring as it really really made everything snug and tight. WQW! Very nice, and a wise choice to incorporate drawbor. Gonna last for several generations.